Even as 14 bodies were recovered from the locked cabin of the motor launch that had capsized yesterday due to inclement weather in river Godavari, Opposition leader YS Jagan Mohan Reddy charged the TDP government of corrupt practices which has led to irregularities in plying of boats and overlooking safety measures leading to three accidents with high number of casualties in past six months. Most of the passengers of the capsized boat were tribals from nearby villages who were returning from a weekly market and several of them had locked themselves in the cabin to escape the inclement weather once it started raining when the boat suddenly capsized de to gusty winds, leaving them with no chance to save themselves. Officials are still trying to ascertain the number of passengers who were in the boat though 16 including the driver and boat owner swam to safety, last evening. 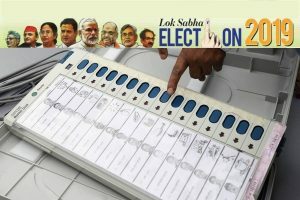 The incident occurred around 4:30 pm in East Godavari districts. 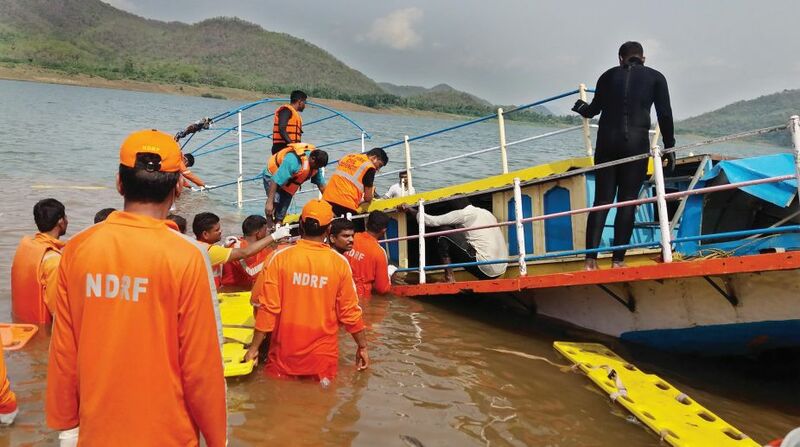 Today, divers were able to rescue some of the bodies after the motor launch was found struck in the sand at a depth of 60 feet near Varapalli tribal village. Cranes were used to salvage the boat while teams from Navy, National and State Disaster Response Forces worked to retrieve dead bodies. Navy helicopters were also pressed into service. Among the dead bodies retrieved are eight women and four children, including twins. Chief minister, N Chandrababu Naidu also visited to oversee rescue operations. Mr Reddy alleged: “It is the government’s indifference that has led to three mishaps in past six months as the boats are allowed to ferry passengers illegally and everyone from the top leadership to the cadres are involved in taking bribes.” He asked the chief minister to own up his responsibility as safety measures are being overlooked. A few days back a tourist boat carrying 100 passengers had caught fire but the driver managed to reach to safety before the fire spread. Last year, a motor launch had run aground in river Krishna leading to the death of 30 passengers.